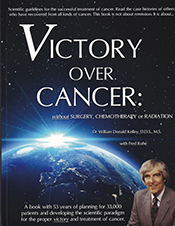 This Book is Dr. Kelley’s final Book, which shares his life’s work and Research in Metabolic Science. Metabolic typing does not attempt to treat , mitigate, diagnose, or cure any type of disease. Rather its main objective is to balance your body’s chemistry. Originally designed by Dr. Kelley, this self test has been in the making over 40 years. By utilizing the autonomic nervous system we can accurately determine your functional and genetic metabolic types. Once achieved, you will know the foods, specific supplements, and modes of detoxification your body needs. All based on the premise known as biochemical individuality. The test is 400 questions and generally takes 5 to 6 hours to complete . Metabolic – the physiological and chemical processes within the body causing the conversion of the elements – light, water, food and air — into life-sustaining energy. 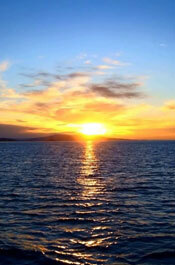 Mission – A specific task with which an individual is commissioned to carry on humanitarian work. 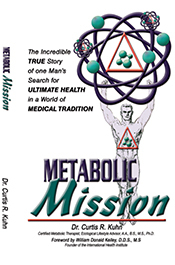 Metabolic Mission – A lifelong endeavor with which an individual is “supernaturally” commissioned in order to propagate and lead humanity to the science of “Metabolic Typing.” It is this unique science, that when applied, will rebuild and rebalance ALL metabolic systems within the human organism. Soon to Be a Motion Picture!!! 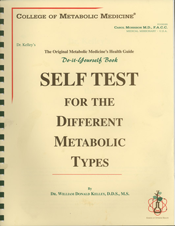 Dr. Kelley’s original “Self Test” is very comprehensive and when finished, determines an individual’s FUNCTIONAL TYPE and SUB-TYPE. By addressing your Sub-Type, you can begin a Nutritional Support Protocol, that will begin to correct Metabolic Imbalances, that have evolved over one’s lifetime. But in today’s fast paced world and after over 30+ years of working with Clients… I have met many people that do not have the time, or just do not want to invest much time and energy into any type of nutritional protocol, even though they KNOW that they need to make some SERIOUS changes in their lifestyle, eating habits, etc. So I designed a NEW Metabolic Test, which is only 90 questions and Accurately determines an individual’s current FUNCTIONAL Metabolic Type. Once you know this, then you can follow the specific Food chart for your type. I also have designed a Vitamin/Mineral, Glandular and Enzyme, that will also SOON be available to purchase, from this site. The Metabolic Institute is a Company formed after 32 years of personal experience on Metabolic Therapy. The core of this nutritional protocol is the science commonly known as "Metabolic Typing". As you discover more information about this unique science during your visit to this website, you should know that Dr. Kelley's work has been literally DECADES ahead of any other nutritional program currently in the world. We “DO NOT TREAT, MITIGATE, DIAGNOSE, OR CURE ANYTHING…..but rather help each individual to reach a state of physiological balance, by utilizing Nutritional Factors. Copyright © 2017 The Metabolic Institute. All rights reserved.